As one of the oldest and most experienced bail bondsman in Los Angeles, Armstrong Bail Bonds understands that getting your friend or family member out of jail quickly and inexpensively is your first priority. For nearly 90 years, our family has been providing quality bail bond services, including legal advice, personal visits to the jail or the courtroom, and flexible payment options for qualified clients, to those in need. Respectful and knowledgeable, our Los Angeles bail bondsman work closely with every client to achieve the fastest possible release time, and are available 24/7 to assist clients whenever an unexpected arrest occurs. 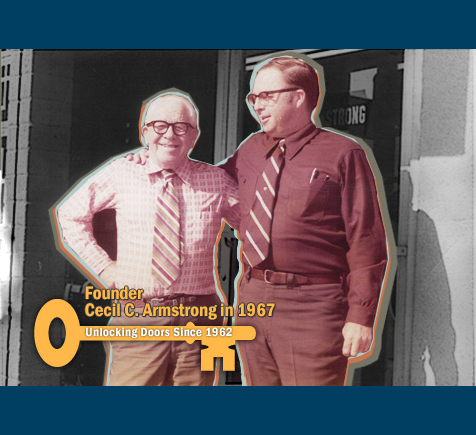 Founded by current owner Bill’s grandfather in 1926, Armstrong Bail Bonds began out of a passion for helping others. Because Armstrong is family-owned and operated, we understand family issues and circumstances; our bail bondsman know that getting your loved one home safely and quickly is of utmost importance, and we take time to learn about each defendant’s offense and history, each indemnitor’s financial situation, and answer any questions our clients may have about the California legal system or the bail bond process. At Armstrong, we want to be more than simply a professional bail bond company—we want to be a trusted partner during this difficult and stressful experience. Though no one expects a friend or family member to get arrested, having a trusted bail bondsman on your side can make a huge difference in the speed and efficiency in which they are released. At Armstrong, we put the needs of our clients first, and our personalized, 24/7 service is aimed a minimizing the stress and anxiety of a defendant’s loved ones. Discreet and professional, our Los Angeles bail bondsman care about your reputation, too, and will do everything in their power to prevent further embarrassment and keep your affairs entirely private. Cecil C. Armstrong Bail Bonds values the relationships we create with our customers, and our trusted Los Angeles bail bondsman will go above and beyond to make sure our clients’ needs are met and their questions answered. To learn more about our family-owned company, contact Armstrong today.